Melanesia is in the South Pacific and is made up hundreds of islands, with nine islands being the most populated. 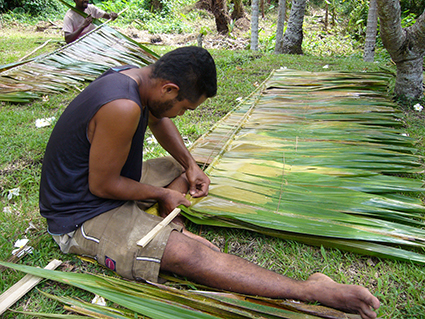 Whilst Melanesia is developing in terms of education, infrastructure and communications most of the islanders still rely on a subsistence life style. Honiara, the capital, has a population of one thousand and is reached via a four hour flight from Brisbane or Auckland. 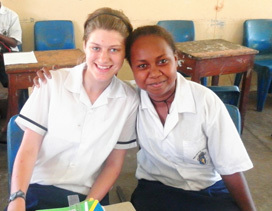 Over the last 20+ years the link between Chester Diocese and the Solomon Islands has grown from strength to strength, with regular visits and many lifelong relationships having been developed. Our link is and always has been based on partnership and mutual sharing of the Gospel. to life. We are keen to share this vision with parishes across the diocese and can send someone to your church to take part in a service or do an informal presentation. Individual schools have formed successful links and we would be delighted to help you establish your own link, either through your parish church or your school, and also through your Mother’s Union. touched as life-long friendships were formed. 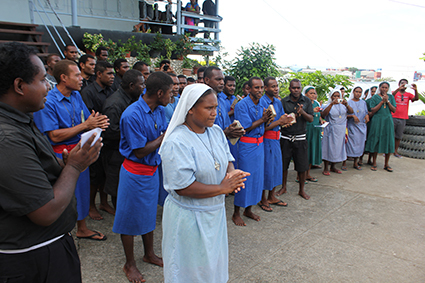 Every year Companions and friends meet to commemorate key people and dates, including Bishop Patterson Day (the first Bishop of Melanesia) and Ini Kopuria Day, when a Holy Communion is held to celebrate the founder of the Melanesian Brotherhood. Celebrations may take the form of a pilgrimage.